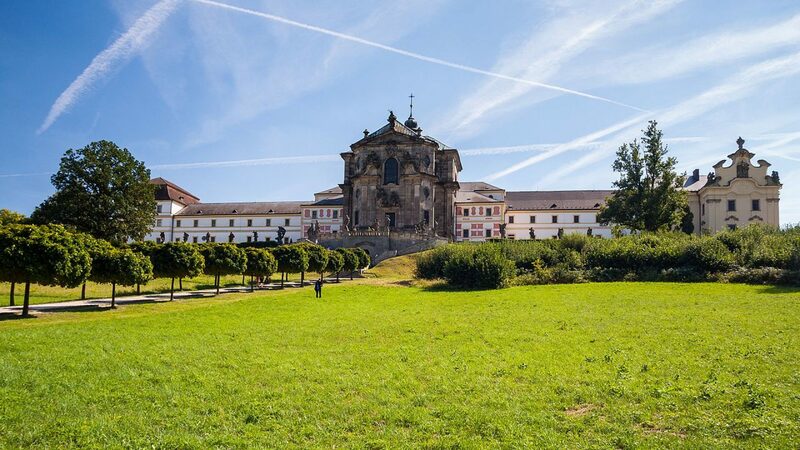 In the 18th-20th century a hospice for veterans and elderly people was based in Hospital Kuks, the building was used as a hospital, a pharmacy, a library and a dining room. The institution was operated by religious order Ordo Hospitalarius Sancti Ioannis de Deo. The Kuks Hospital is a national cultural monument. In the immediate vicinity of the Lazaret there is the hospital church of the Holy Trinity, the garden with statues of M. B. Braun (12 virtues and 12 vices), the chapel of the Assumption of the Virgin Mary. On the other side of the River Elbe there are several spa houses and old stairs to the old castle that was demolished at the beginning of the 20th century. The Bethlehem, a set of Baroque sculptures carved into rocks is also worth visiting and can be found in the nearby forest. All expositions of the hospital building are available between 9.00 am and 5.00 pm in the summer months. For detailed information on opening hours and individual expositions please contact the Kuks Hospital directly (tel. 499 692 161). The price per adult for the basic circuit is 120 CZK, the child 80 CZK (up to 6 years free of charge). © 2018 Kuks Castle. All rights reserved.